This flex 3 bdrm coop is a rare gem nestled in the heart of the Upper East Side. 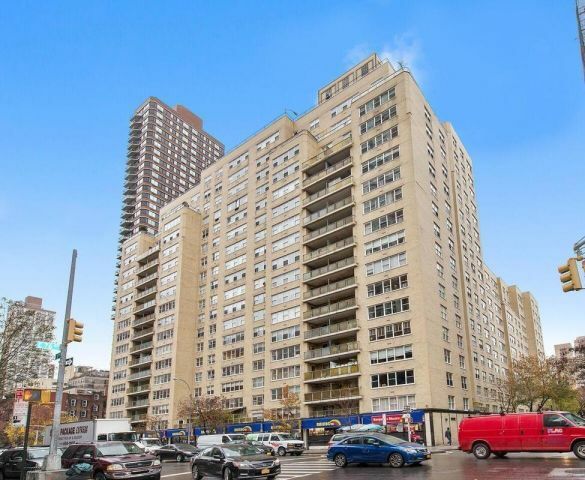 This beautiful apartment has exceptional value in a very quiet, low maintenance building. The entire space is drenched in sunshine, and features hardwood floors throughout, a spacious sun splashed living room, king sized bedrooms, and a dining alcove that can easily be converted into a 3rd bedroom. The kitchen features an abundance of designer cabinets, granite counter tops and includes a dishwasher and microwave. There is no shortage of storage space due to the generously sized closets and separated entrance foyer. The Newport East is an immaculately well maintained building with a 24 hour doorman, live in resident manager, elevator, three laundry rooms, bike room, storage and garage. This unique building also has a gorgeous rooftop swimming pool for the summer season. All units feature central air and the monthly maintenance includes all electricity. Come see why the Newport East is the Upper East Side's best kept secret!